Steven (Chicagoland, United States) on 19 October 2012 in Plant & Nature and Portfolio. 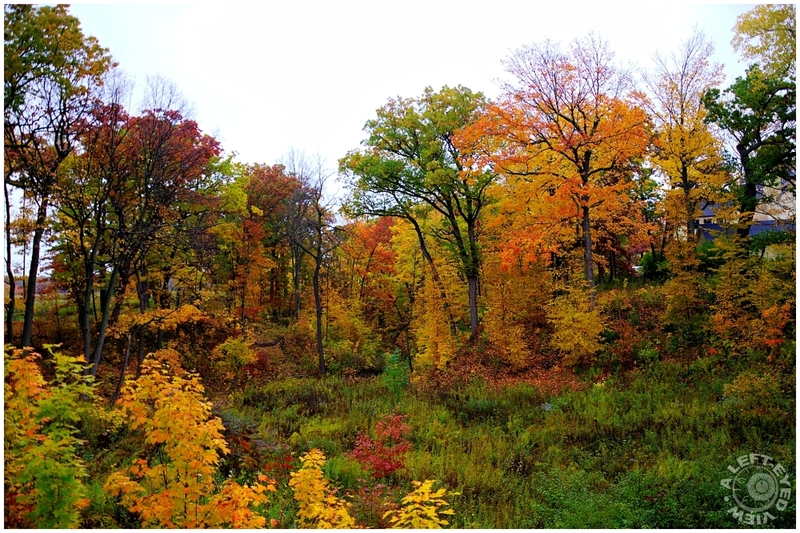 A ravine full of autumnal colors as spotted in the Fort Sheridan Forest Preserve in the Highwood/Lake Forest area, about 25 minutes north of Chicago. Great splashes of colour, very much needed as I look at a blanket of thick grey fog this morning. This is gorgeous, Steven! Grandiose assembling of colors! Beautiful shot - we see every colour of the autumn spectrum! Super dieses Licht und die Farben. Great colors on a gray and perhaps damp day! Une région vraiment superbe en automne ! Just absolutely perfect! I completely love this scene - Great job, Steven!! Gorgeous colors and light ! @Mariana Maoduš: I'm glad you made it out alive and I look forward to seeing those photos..............of the pretty forest that is!! Fall season offers such a delicious palette. Fantastic and flamboyant colors. A beautiful image of fall in its full glory. 'Fall' color scheme, a beautiful image full of rich tones. Absolutely beautiful! We have nothing like that! Lovely fall colors, though the sky seems washed out. Oh God this is fabulous! Turn this into a huge sized wall paper to cover the sitting room wall with. very fantastic and beautiful colors. Absolutely beautiful. It's a very nice photo. Excellent work Steven. Have a lovely day. Amicalement Antoine. Wow, your Autumn colors are gorgeous, Steven! I don't think we'll see anything that nice around here this year due to the drought. Lovely shot! Encore de splendides teintes automnales! Colour has sure invaded your part of the world. Very nicely shot. What a palette, glorious one.